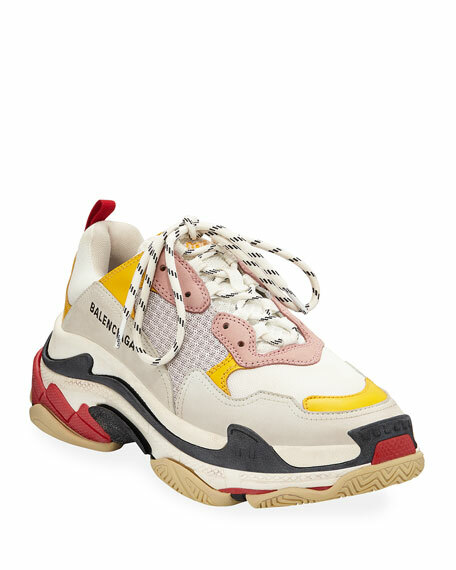 Balenciaga colorblock trainer sneaker in mesh, nylon, suede and leather. Brunello Cucinelli sneakers in cotton, suede and leather. Striped side features with monili trim. 0.8" textured platform. Reinforced round toe. Brunello Cucinelli sneakers in cotton, suede and leather. Striped side features with monili trim. 0.8" textured platform. Reinforced round toe. Pinked, lace-up vamp. Logo at tongue. Padded footbed. Sawtooth rubber outsole. Made in Italy. 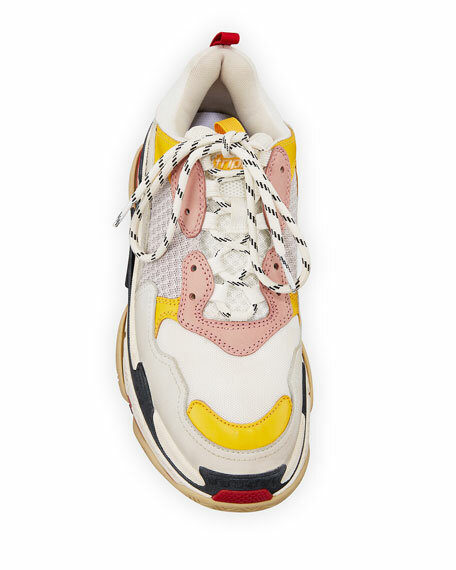 P448 trainer sneaker in colorblock metallic suede, patent and glittered leather. 1.4" speckled running wedge heel with platform. Reinforced round toe. Lace-up vamp. Logo at tongue. Pull-tab at back collar. Rubber insole insert for added comfort. 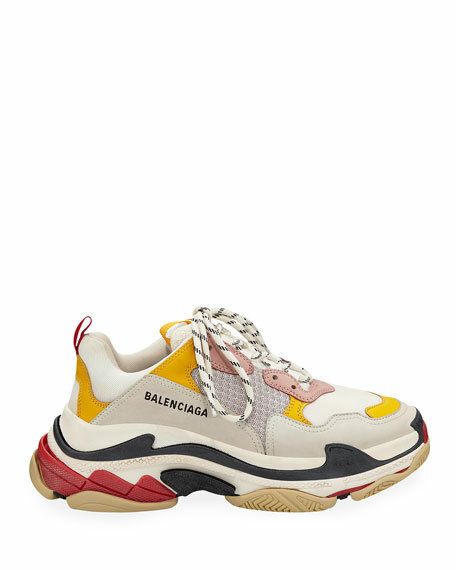 Leather/fabric lining. Rubber outsole. "Alex" is made in Italy.